After knocking on the door all season long, Kyle Busch finally took the Checkered Flag in 2017. He was able to hold off Kevin Harvick to win the Overton’s 400 at Pocono Raceway. The win punches his ticket for the playoffs later this year. Entering today, Busch was on a 36 race winless streak, the longest of his career. 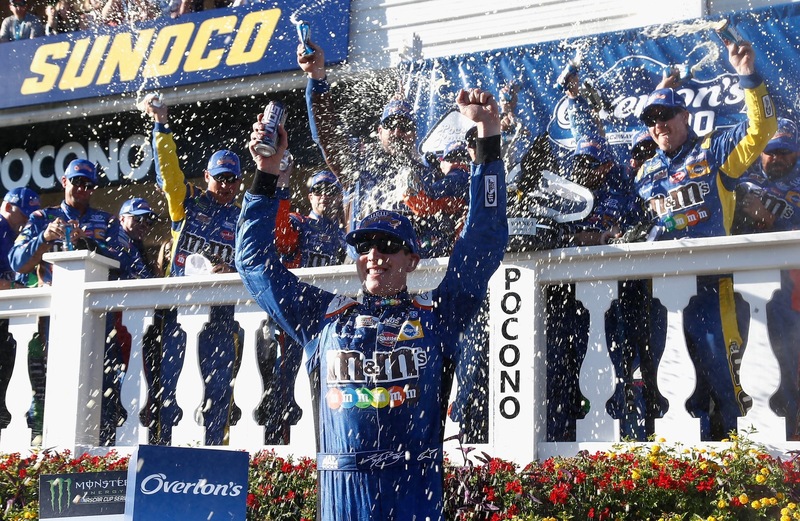 Not only did the win at Pocono snap his drought, it also was his first career victory at the tricky triangle. The victory now leaves just one active track on the NASCAR circuit that Busch hasn’t won at, Charlotte Motor Speedway. Busch has been ridden with bad luck all season. Just last week the pilot of the No. 18 had the dominant car at Indianapolis Motor Speedway. A Martin Truex Jr. bump that led Busch into the wall ended his day. 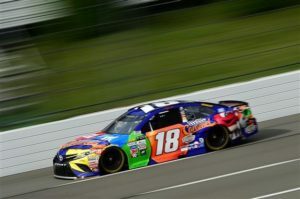 Overall, Busch had seven Top-5 finishes this season with three four of them being Top-3. When asked about the win Busch said “Never thought this day would happen. 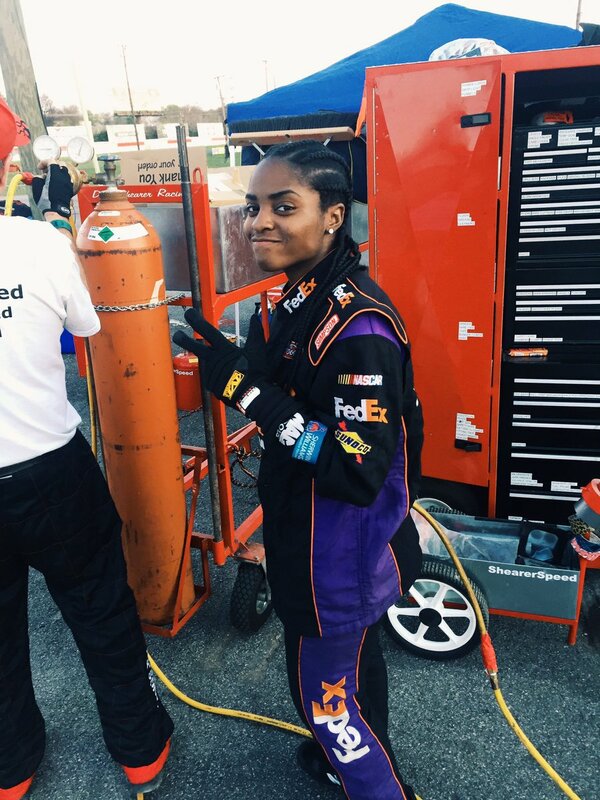 Such an awesome race car. Adam Stevens and all these guys on this number 18 team they never give up. They’ve been fighting all year long, we’ve all been fighting all year long.” In total, Busch led 74 of the 160 laps. A little strategy by Busch’s Crew Chief, Adam Stevens, helped the 13-year veteran keep track position, fresher tires, and ultimately run down the leaders. 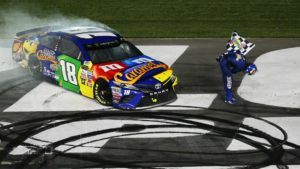 Joe Gibbs Racing saw all four of their drivers finish in the top-10 as Denny Hamlin finished fourth, Daniel Suarez seventh, and Matt Kenseth tenth. The win makes it two out of the last three weeks for JGR. Last weeks Brickyard 400 winner, Kasey Kahne, finished 11th. 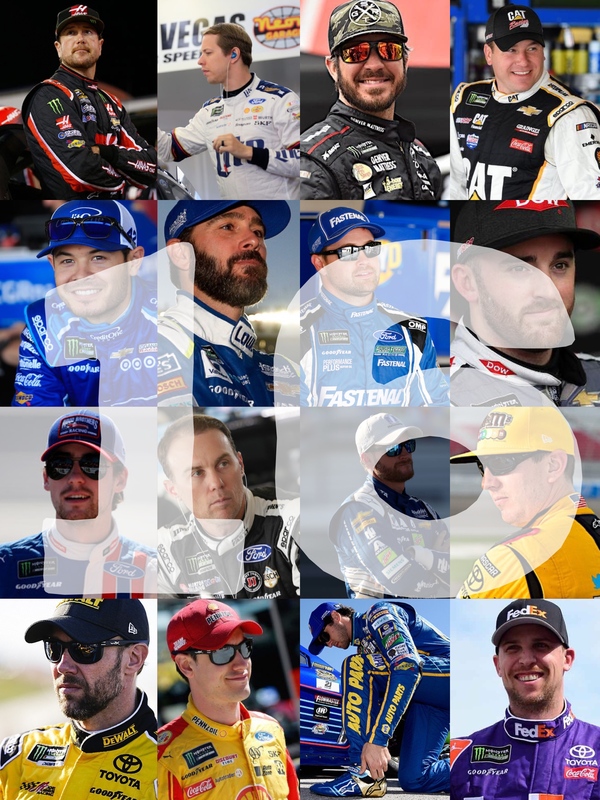 The rest of the top-10 were Martin Truex Jr.(3rd), Brad Keselowski(5th), Clint Bowyer(6th), Erik Jones(8th), and Chase Elliott(10th). The NASCAR Schedule heads to the second road course of the season, Watkins Glen, next week.